It can be more difficult to implement spam call blocking for a business phone than on a personal line. 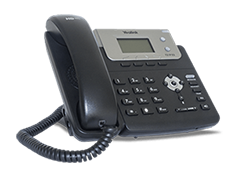 For businesses, phone systems need to balance public availability with accurate call rejection, and residential users may want to more broadly block phone calls. To help address a business’ ability to block unwanted phone calls, Ooma is pleased to debut its latest call blocking feature for the Ooma Office phone system. Here are the two ways that call blocking for Ooma Office can protect your business against spam calls. The first way Ooma can help you block unwanted calls is by addressing anonymous callers. Legitimate robocallers will reveal their business name and caller ID information, but scammers want to remain unknown. That’s why making calls anonymously is a favorite scam tactic to prevent users from seeing who’s calling, and from where. For businesses, these anonymous calls can be troublesome. Employees may be compelled to answer them to avoid missing a sale or appearing unprofessional. However, by answering the calls, the problem of spam callers is worsened because your phone number has proven to be active. Ooma can now help your business fight back against these anonymous callers with a blocking tool that helps stop the anonymous calls before your phone rings. This forces any legitimate caller to turn off his or her caller ID blocking function, providing you with verification before you answer. By blocking anonymous callers, your business can reduce the annoyance caused by the spammers, can help your staff stay focused on the work that matters, and can reduce the likelihood of someone falling victim to a scam. The second component of Ooma’s call blocking for businesses is a customizable call blocking tool. If your business receives an incoming call that’s suspicious, you can actively prevent that number from ever calling again. With a capacity for up to 1,000 numbers, your business can specify which callers will be stopped before your phone rings. Especially for customer service industries or other businesses that regularly receive unwanted calls, these two methods can help you fight back against spammers and unwanted callers. Enabled and managed at the account level, the feature protects the phones for all employees on your account. Plus, any additions to your custom call blocking list are also applied at the account level to protect all your employees. Settings for call blocking can be accessed via the new System Settings section of the online Ooma Office Manager. This gives you anytime access to communications features that help your business be more productive. Ooma Office is a contract-free, feature-rich small business phone service. Included with each account is a free mobile app so staff members have full access to their business line when they’re away from their desk phone, a multi-level virtual receptionist to automate incoming calls, a free toll-free number with eight hours of inbound calls per month, and much more. For the past six years, Ooma Office and been named as the #1 VoIP phone service in PC Magazine’s Business Choice Awards. In 2019, Ooma beat the competition in categories for overall satisfaction, reliability, call quality, setup, management, quality of tech support, and likelihood of recommending the service. Ooma Office’s low monthly rates save businesses thousands of dollars each year. See how much you can save by using the savings calculator. One real estate franchise reported that after switching to Ooma Office, its costs were reduced by a third while simultaneously improving call quality. 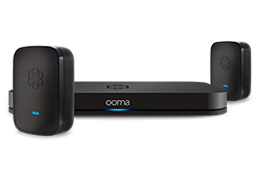 Learn more about Ooma Office business phone system.